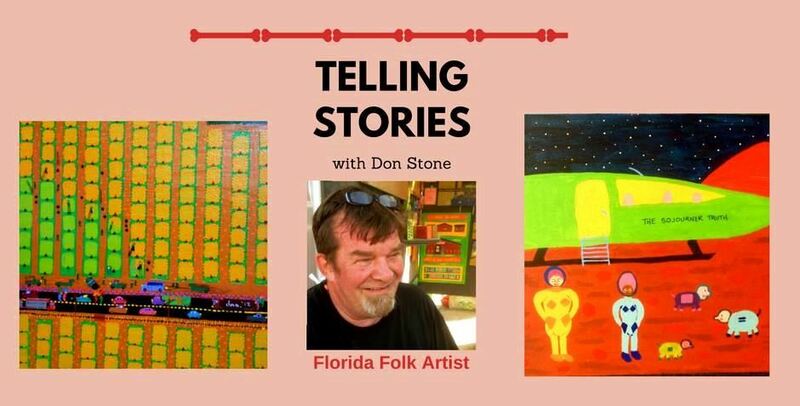 Winter Haven folk artist Don Stone, a frequent exhibitor at Folkfest St. Pete and other locations around the state and beyond, will present two folk art workshops: one from 11 a.m. to 1 p.m. and one from 2 to 4 p.m. Please RSVP to Curator and Exhibitions Director Jody Bikoff at jody@creativeclay.org. Please direct all inquiries to Jody via e-mail or call 727.825.0515.